Publisher's Note: Products purchased from 3rd Party sellers are not guaranteed by the Publisher for quality, authenticity, or access to any online entitlements included with the product. This extensive title, which combines scientific principles with up-to-date clinical procedures, has been thoroughly updated for the fourteenth edition. You'll find in-depth material on the biology and pathophysiology of lymphomas, leukemias, platelet destruction, and other hematological disorders as well as the procedures for diagnosing and treating them. 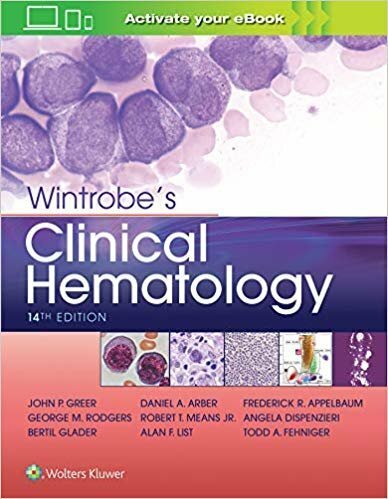 Combines the biology and pathophysiology of hematology as well as the diagnosis and treatment of commonly encountered hematological disorders in one volume. Access the latest knowledge in genetics and genomics eBook features 300 online self-assessment questions for reviewing material and preparing for Board exams. Packed with more than 1,500 tables and figures. Enhance Your eBook Reading Experience Read directly on your preferred device(s), such as computer, tablet, or smartphone. Easily convert to audiobook, powering your content with natural language text-to-speech.